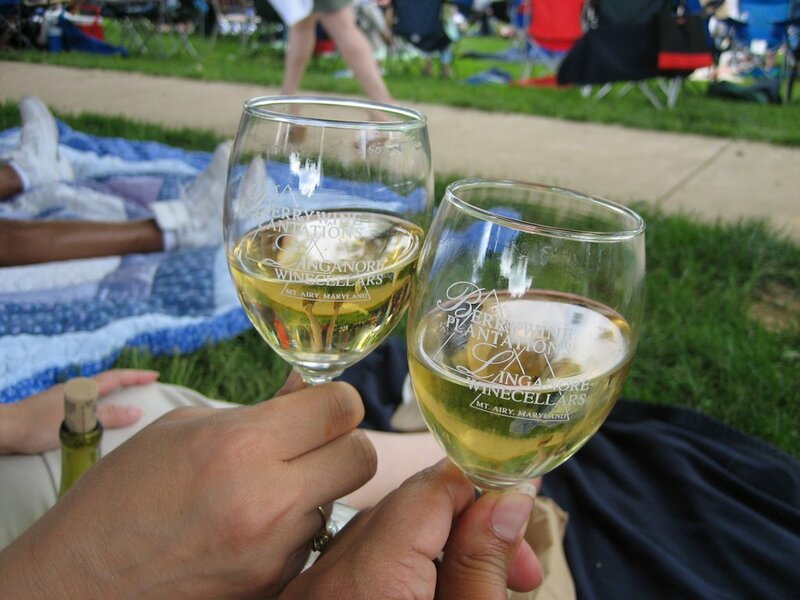 On Saturday we visited Linganore Winecellars to celebrate their Caribbean Wine Festival. Linganore is in Mt Airy, MD, about one hour and some change from the DC metro area. Although it is not Virginia wine, it gives me an opportunity to get out and encourage the Maryland folks to come across the bridge and try some Virginia wine. 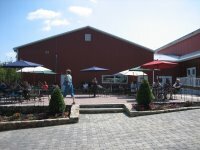 Linganore has a charming new tasting room and store to boast, and a nice patio area to have lunch. 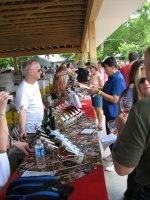 For the festival, there was three areas set up for tasting, which greatly sped up the tasting process, given the large crowd in attendance. The weather for the festival was ideal, and people were literally pouring in all day long (as well pouring …lol), enjoying the spirits of wine, good food, music and friends. After doing a tasting of their wines and visiting the craft booths, we decided to lay the blanket down and grab lunch and enjoy the Calypso bands. After talking about the wines we tasted, we decided to buy a bottle of the barrel fermented Chardonnay, which has a distinct pear flavor and aroma, and is mildly oaky. 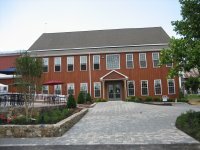 Most of the wines produced at Linganore, are blissful, sweet, fruity, unpretentious styled wines that compliment these sort of outdoor summer events. Linganore does a great job, in preparation for the big crowds, and minimizing your time spent in line. 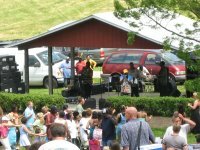 Many, who attended however, will attest to the need for more food vendors, but you can bring your own picnic basket if you wish. Below is a picture of the ElectroPull professional uncorking machine. 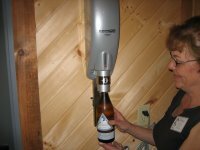 This neat device can uncork up to 500 corks per hour if need be, and was the sales clerk’s best friend over the weekend. 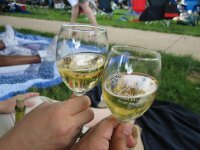 Linganore has four more (Blues, Reggae, Bayou and Jazz) wine festivals scheduled this year. So be sure to check their web site for event dates and times. Enjoy the Memorial Day holiday, and take a moment to give praise and thanks in honoring those men and women who have served their country well.